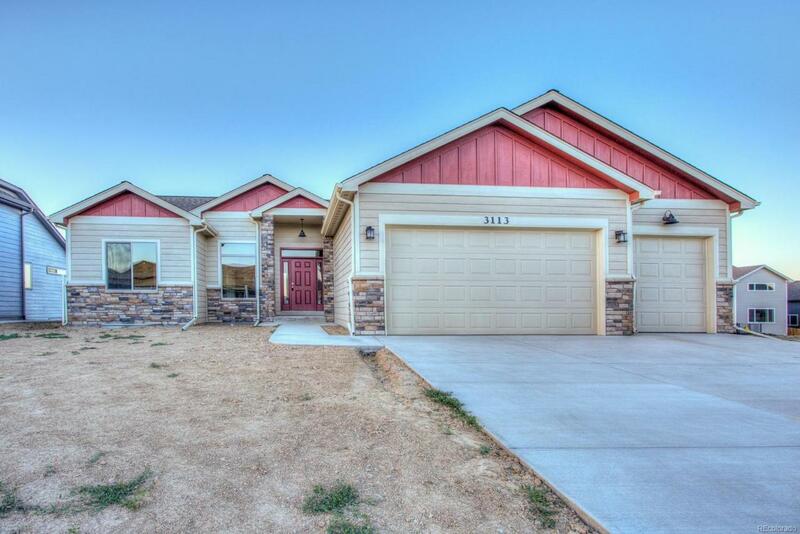 Wonderful Semi Custom ranch in desirable Corbett Glenn subdivision. Just minutes from I-25. All the special touches in this 3,118 sqft. ranch home. Amazing attention to detail. 5 bedroom, 3 bath, 3 car garage. Kitchen features open concept with vaulted ceilings, open to living and dining area. Granite countertops, white distressed cabinets throughout. Perfect for the popular Farmhouse look! Stainless steel appliances. Within minutes of the Centerra shopping mall and Schells.